No date is given, but the set must have been published some time between the formation of the Federation of Malaya in January 1948, and the formal recognition of Indonesia’s independence (the former Dutch East Indies) in December 1949. 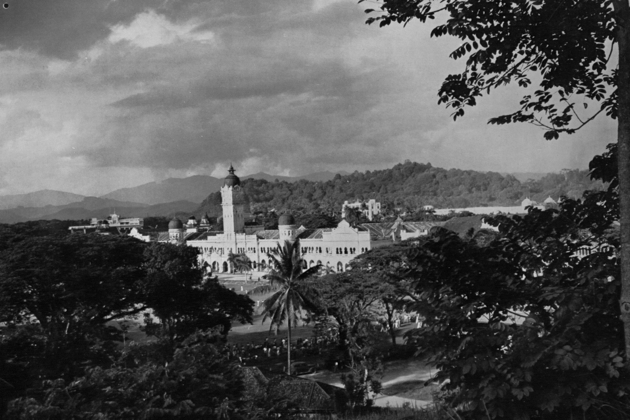 The photos form an introduction to four British colonies: the Federation of Malaya, Singapore, Sarawak and North Borneo (now Sabah). Interestingly enough these were the same four territories which joined together to form Malaysia in 1963 (Singapore was expelled in 1965). 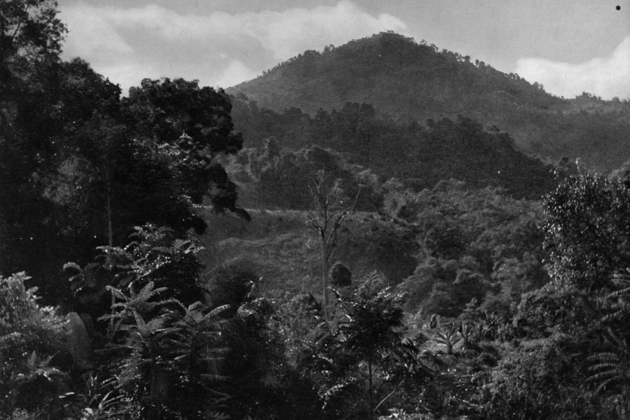 Quite apart from being aesthetically pleasing, these pictures, and the captions which went with them, reveal much about British attitudes towards their South East Asian dominions. In short, they give a lie to much of the right-wing Malay rhetoric about colonial rule. Where is the casual racism? Where is the policy of divide and rule? Where is the discrimination against Malays? Where is the lack of respect for Islam? Where is the casual disregard for ordinary people’s welfare? A similar set of pictures from before the Second World War would no doubt have made more uncomfortable reading. But the conflict wrought a huge shift in how Britain viewed both its far-flung empire, and the diverse peoples who lived there. The war also wrought devastation on many British colonies, particularly ones which were unfortunate enough to be occupied by the Japanese. While acknowledging the suffering caused by the conflict, what comes through these photos most is a sense of optimism. 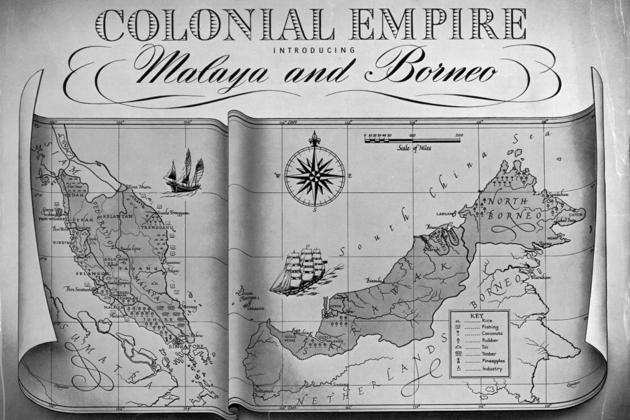 Original caption: Malaya and the British territories in the northern part of Borneo are regions of perennial rain and heat. Dense jungle covers the greater part of them, and must be cut down to clear the land for farms, plantations, and mines. 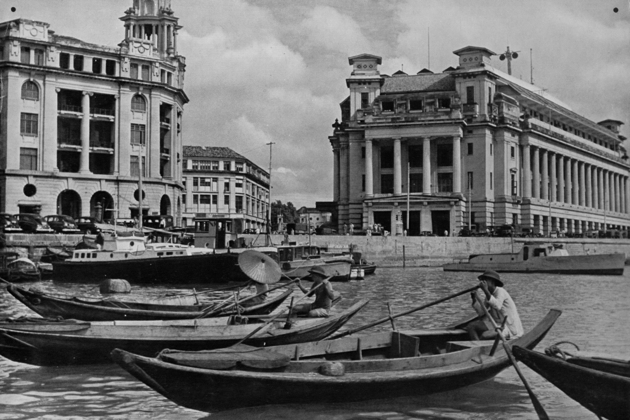 Original caption: Singapore was founded by Stamford Raffles in 1819, grew from a fever-infested, sparsely inhabited island to a great centre of the eastern world’s shipping and commerce. Free trade and British law and order wrought this change. 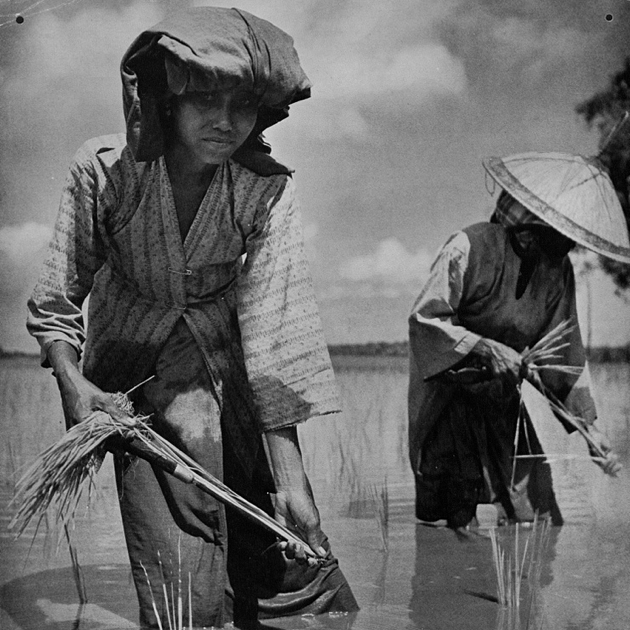 Original caption: Sowing rice in a padi field. The Malays live mostly in the rural areas as farmers and fishermen, form 38 per cent of the population of Malaya. 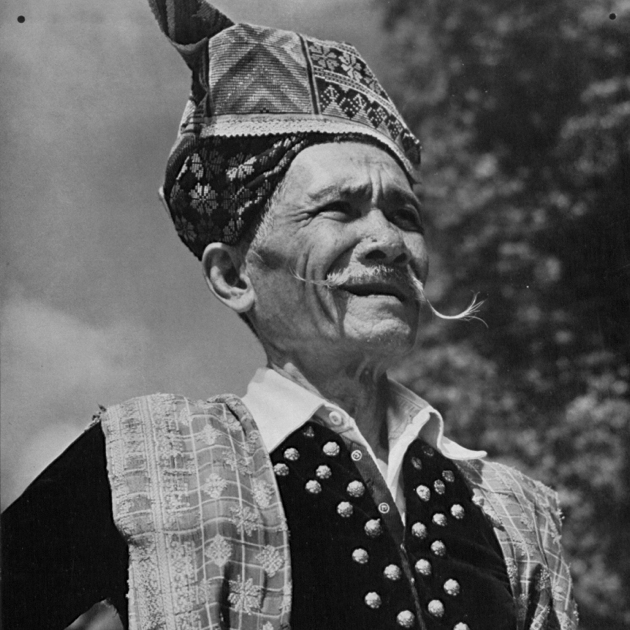 Original caption: An easy-going individualist with little interest in trade, the Malay is intelligent, courteous and peaceable, and strongly loyal to his own leaders. The pleasure-loving villagers enjoy such dances as the Ota Ota, a duel in mime. 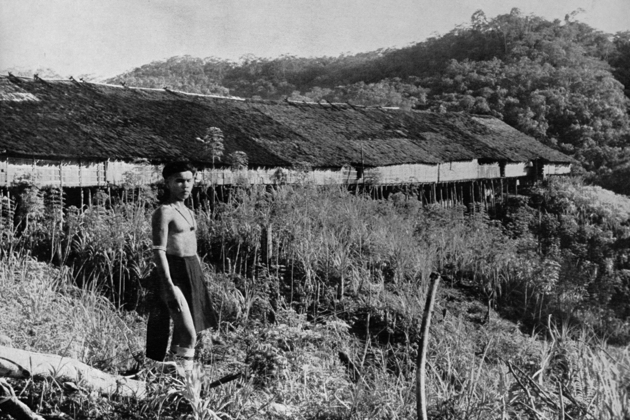 Original caption: Malays are natural seamen, and by tradition build their palm-thatched villages along the coast and by the banks of the rivers. Fishing flourishes particularly on the east coast, where Malays predominate among the population. Original caption: Friday is the Moslem sabbath, when all Malay men must attend mosque. 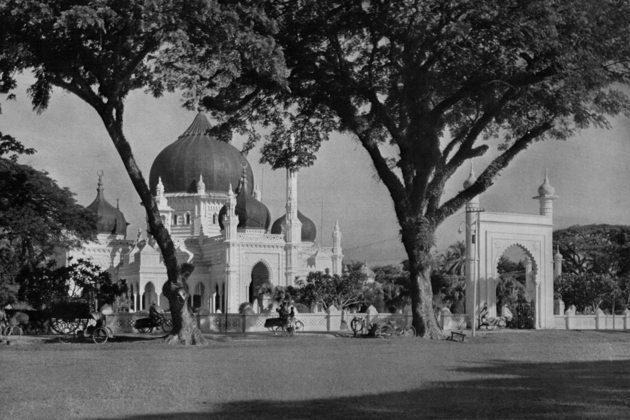 The religion of Mohammed forms an important cultural link between Malays of the East Indies and the other great Moslem races of the Near and Middle East. Original caption: The Chinese, 45 per cent of Malaya’s population, are town-dwellers. Shrewdness and industry have brought commercial and professional success. Original caption: Something like a third of the world’s tin comes from Malaya. Most is worked by dredgers, but some of the smaller mines use the less expensive gravel pump as shown here. Much of the capital and most of the labour are Chinese. 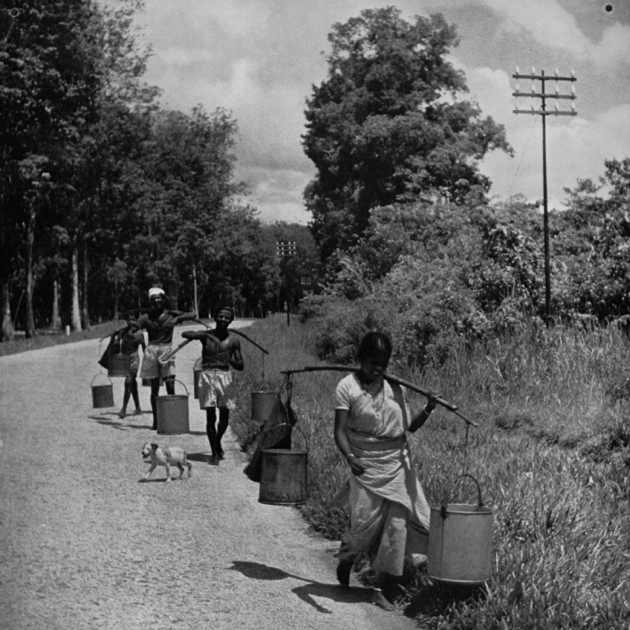 Original caption: One in ten of the people of Malaya are Indians. 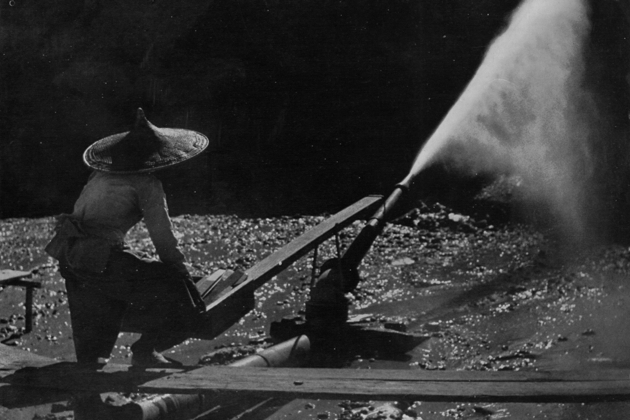 They work mainly on the rubber estates, the biggest dollar-earning industry in the British Empire. Original caption: The Dayaks, a picturesque and virile race, dwell in the interior of Sarawak. Since this territory and North Borneo became Crown Colonies in 1946 much has been to repair the havoc of three years of Japanese occupation. 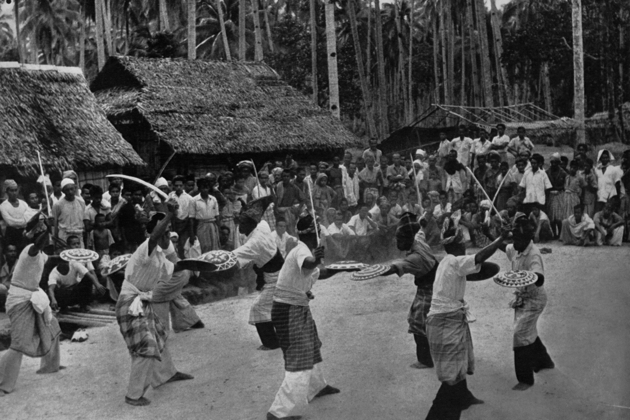 Original caption: The Badin of Kampong Menkabong in North Borneo. He is a chieftain of the Bajau, a people celebrated as horsemen. Kampong means “village”. Original caption: The first British advisers reaching Malaya in 1874 found an urgent need for communications to develop the country’s rich resources. 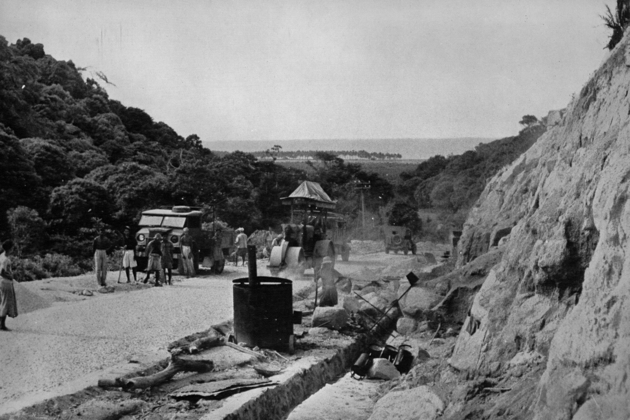 Today thousands of miles of first-class road and railways run between Malaya’s principal towns. 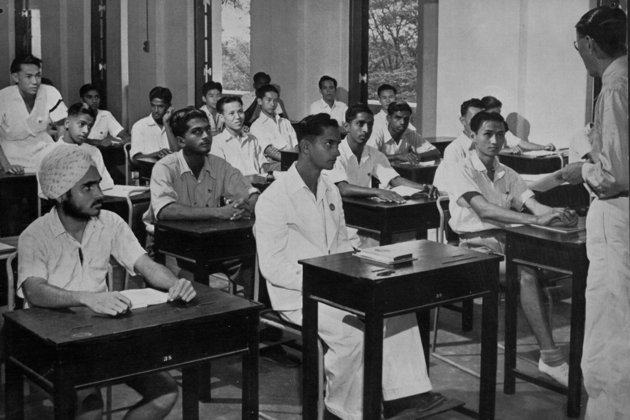 Original caption: Primary education is available throughout Malaya in Tamil, Chinese, and Malay, while children of all races attend the English schools which take them to School Certificate standard. Here is a mixed class in a Kuala Lumpur college. Original caption: Among the sixty-three general hospitals which the Government maintains, the modern 1,000-bed Johore Bahru Hospital compares with any in the world. Original caption: The Japanese armies left Malaya in a pitiful state after their surrender. The Government decided to set up a new Department of Social Welfare, with wide responsibilities. 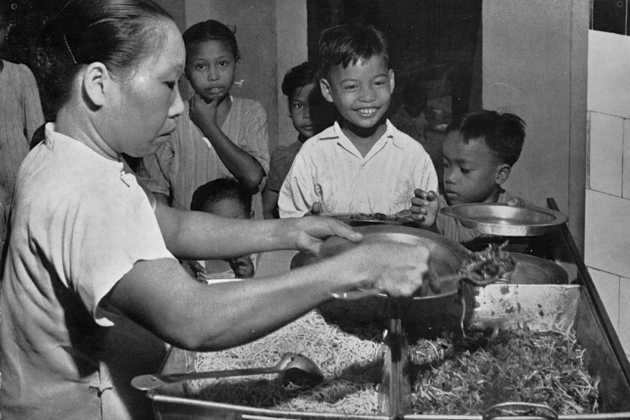 Needy children get a free meal at a Kuala Lumpur clinic. 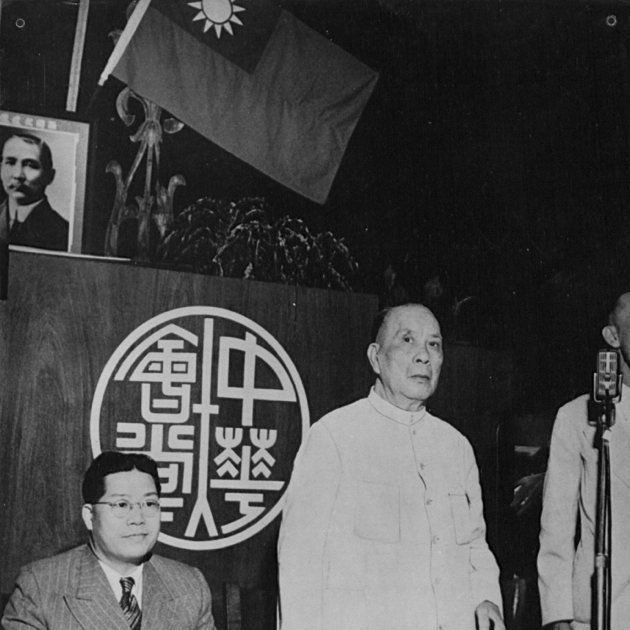 Original caption: Creation in 1948 of the Federation of Malaya, with a common Malayan citizenship, was a great advance. The Sultan of Selangor signs the agreement. Original caption: Secretariat at Kuala Lumpur, seat of the Federal Government. The Federation embraces the nine Malay States and the Settlements of Penang and Malacca. A High Commissioner represents Britain. Singapore is now a separate colony. 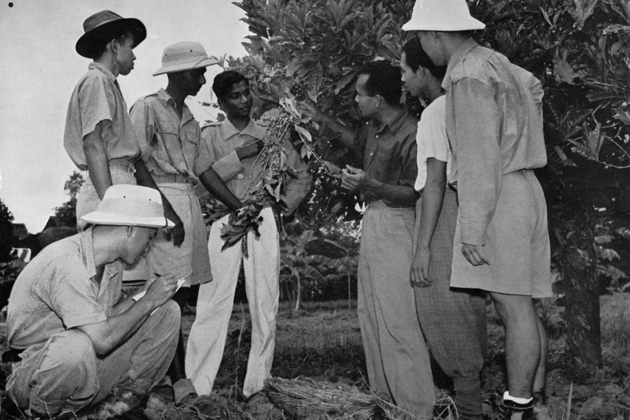 Original caption: Malaya has a long tradition of peace and racial tolerance. 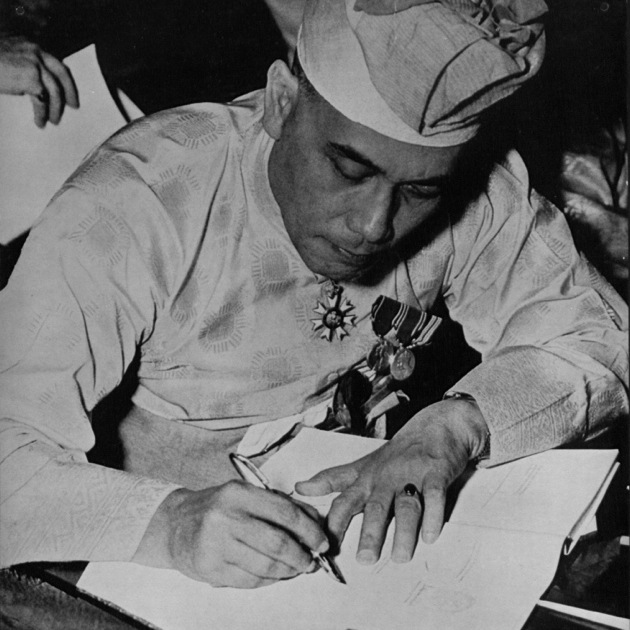 A future of order and prosperity is assured if the four communities, Malay, Chinese, Indian, and European, can now build up a common loyalty to the Federation of Malaya. 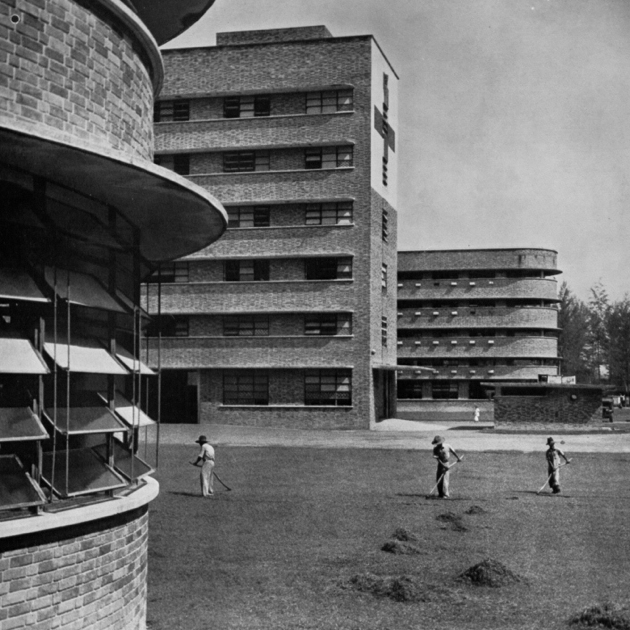 This set of photos is part of a project to make publicly available digital copies of images from the UK National Archives. For the full photo stream, see www.flickr.com/photos/nationalarchives . 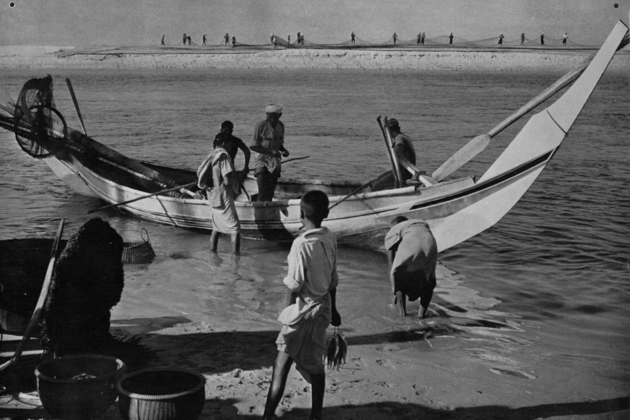 If you enjoyed this piece, you may well like Art Deco with a Malayan twist, Burmese days: the extraordinary photos of Philip Adolphe Klier, and Cecil Beaton in wartime China.